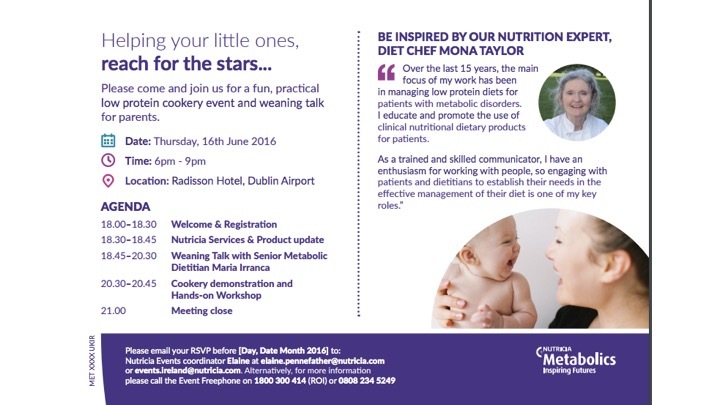 Please contact Nutricia directly at events.ireland@nutricia.com for booking information. 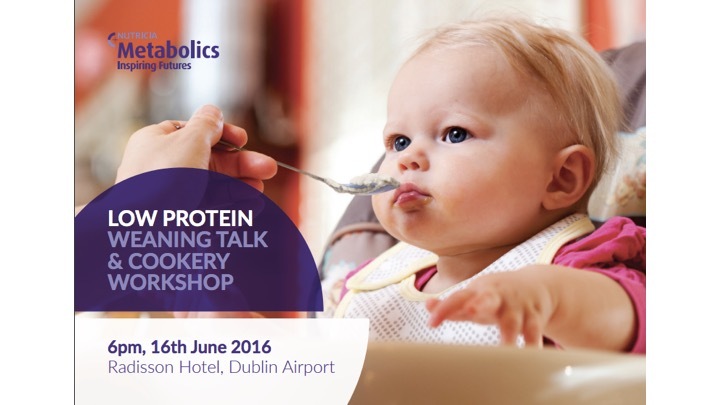 On the 16th June in the Radisson Hotel at Dublin Airport Nutricia will be running a low protein weaning talk and cookery demonstration – see link below. 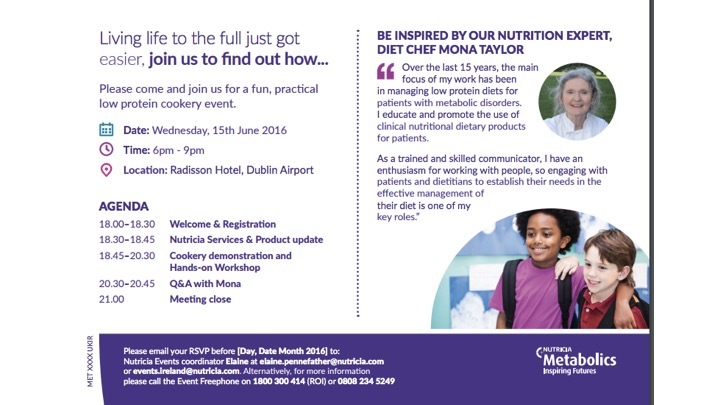 On the 15th June in the Radisson Hotel at Dublin Airport Nutricia will be running a low protein cookery demonstration – see link below. 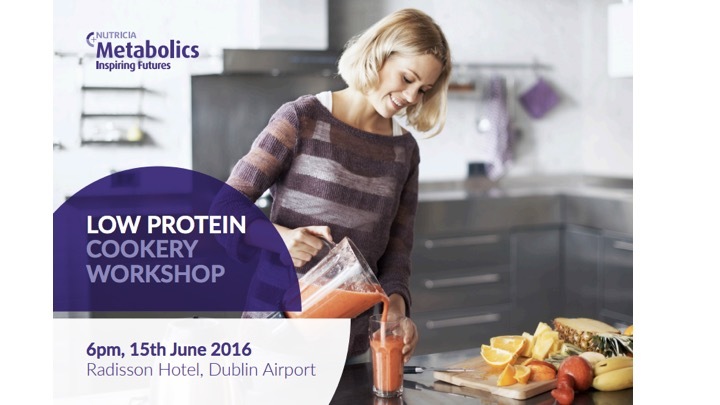 On the 15th June in the metabolic unit at Temple Street Hospital, Nutricia will be running a low protein cookery workshop – see link below.